Summer wouldn’t be summer without a BBQ on the cards. 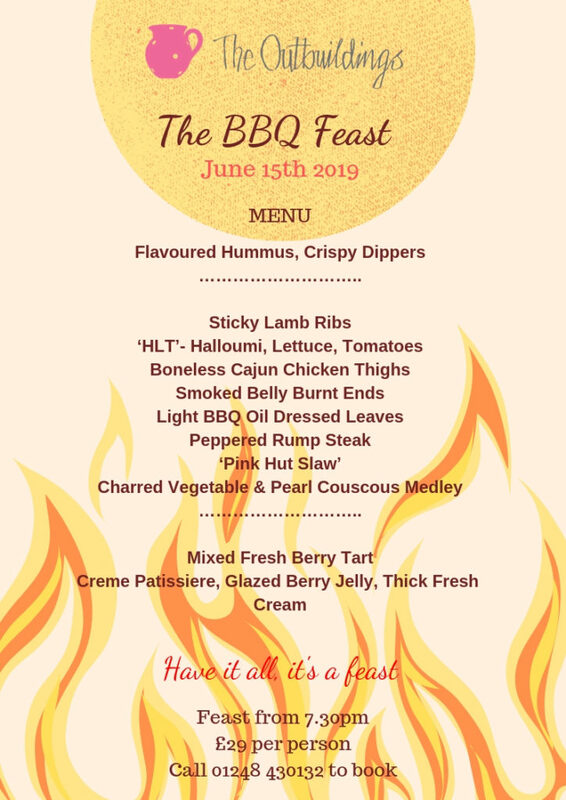 As we hit June it’s great to have a date in the diary that involves friends and great food. 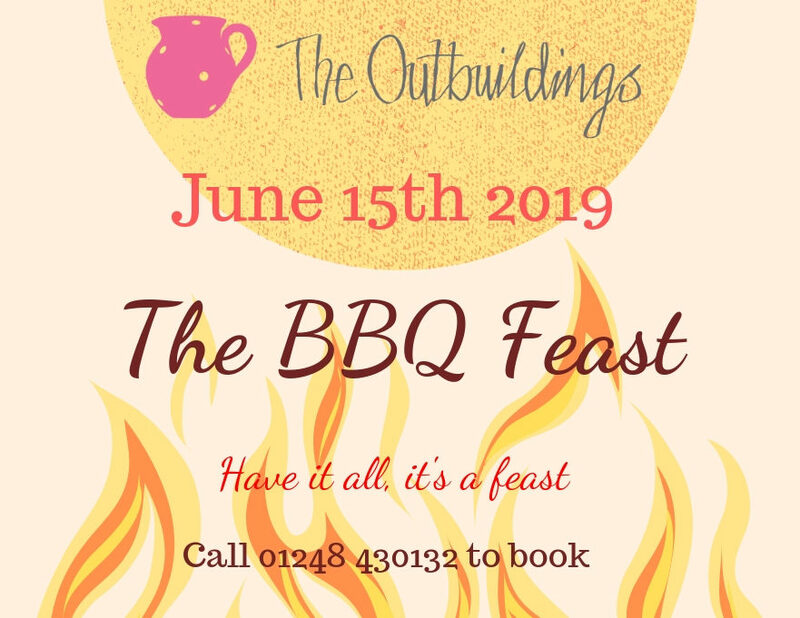 Join us for our BBQ feast here at The Outbuildings and sample all the delights of the BBQ with none of the hassle of actually cooking it yourself! Sit back and relax around our feast table and sample the delights presented to you by our talented chefs. To book now call 01248 430132.